How does 50,000 apps in the Android Market sound? Sounds like a continued dominance of the Android OS in the smartphone market that is also showing no signs of slowing. 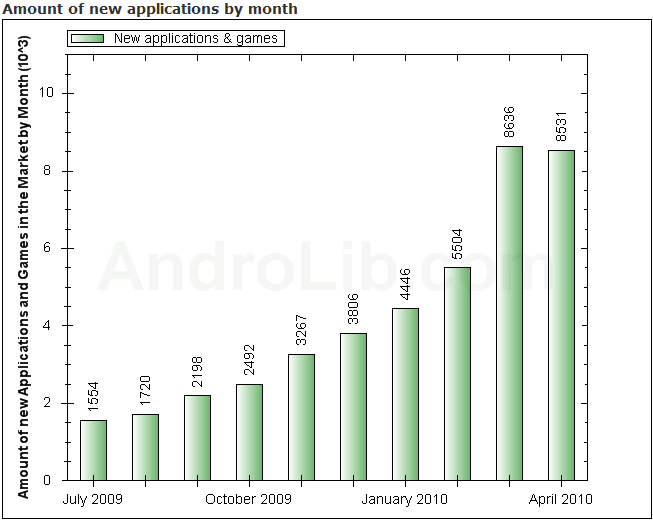 Last month, the market hit almost 9,000 new apps and has come pretty close to that number again for the month of April. While we’re still waiting for more “quality” apps, at least we’re still seeing a growing interest by developers right?